Plenty of Anything, showcases a variety of sound in six tracks. Slow-burning instrumental (late night) landscapes pair seamlessly with three rapid-fire jams (featuring dominant dual-emcee lyrical uprock). 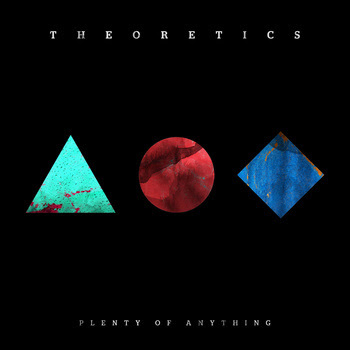 Theoretics band member Birch Pereira gave FYM some insight behind the new release: The idea behind the EP, or at least the 3 vocal songs, was to show off the entertaining side to Theoretics and move away from the serious tone of our first album. I switched over to playing synth bass as well and naturally some more d&b elements came out and the emcees really got a kick out of writing to that fast tempo stuff. The two instrumentals "Bus Evlav" and "Harkon" came out of a project I've been doing where I've been creating new music on the computer by manipulating samples of our previously recorded material. Most of the time it's unrecognizable to the original source, but Bus Evlav is a remix of a song that we recorded on our instrumental side project Vunt Foom called Sub Valve Release. Check out their bandcamp page HERE. Listen to the entire EP above, purchase it from iTunes HERE. 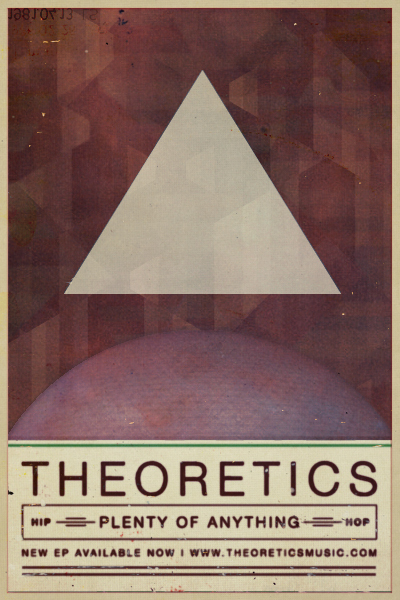 If you didn't catch Theoretics at their packed EP release party at the Showbox (Market) November 9th, be sure to see them perform live at Neumos December 16th with Blackalicious (buy tickets HERE)! Cheers, FYM.